Are you helping the future of your people? It is all very well to oppose, in principle, Islamic terrorism; but if you don’t actually do anything to oppose its source in the real world, then you are next to useless. Islamic terrorism is enabled in the West by those who support Multiculturalism and Third World immigration. From those two major factors comes the Islamification of a country’s people. A higher rate of Muslim population increase in Western countries is directly related to a higher rate of Muslim violence and Islamic terrorism. If you want to be a traitor or a collaborator, then that’s your decision; but if you support Multiculturalism and Third World immigration, then don’t try and tell everyone that you’re a patriot, because you’re not. If you oppose Islamic terrorism, then you need to oppose Multiculturalism and Third World immigration; if you don’t, then you are both kidding yourself and contributing to the fall of Western Civilisation. Each of us may only be a small piece on the chessboard, but the West needs all of its component pieces to win the war. 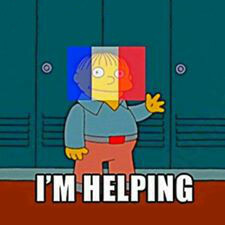 If all you have done for the West is to change the profile picture on your Facebook page (e.g. superimposed a French flag over your picture, in support of the French after the 2015 terrorist bombings), or whinged to a few friends, then you’re hardly a soldier for the West. 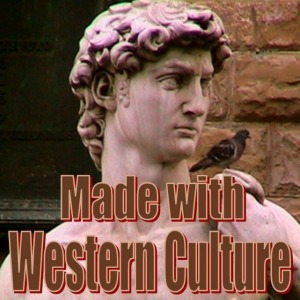 What the West needs now are active patriots; we need more staunch Nationalists and brave Loyalists, so that we can win the cultural and demographic war for Western Civilisation.